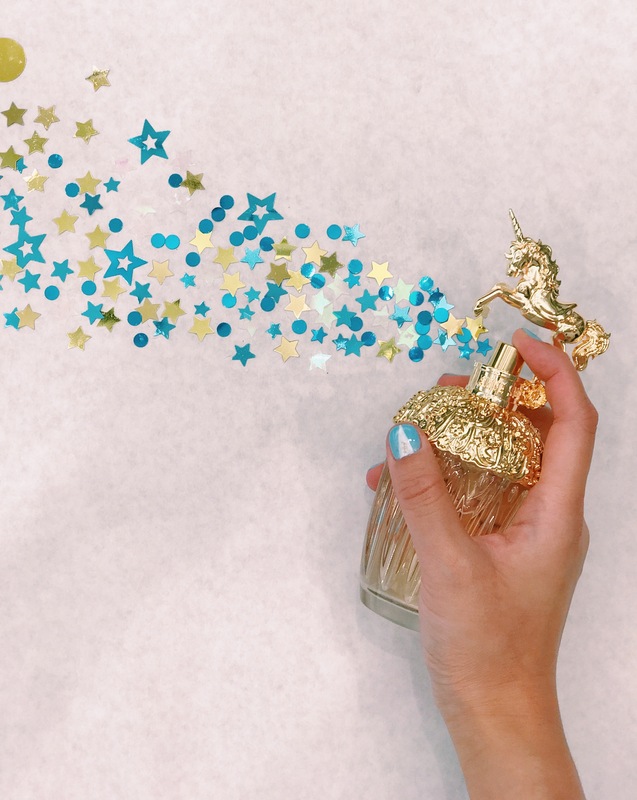 Although our childhood seems like a faraway time, mythical creatures like unicorns and mermaids will always have a special place in our heart, no matter how old we are. As we mature, the creatures from our fantasies evolve to become more elegant, charismatic and enchanting. Anna Sui takes this blend of youthful maturity, dusted with a hint of fantasy to create its newest female fragrance, Fantasia. With this scent, Anna Sui sparks the same vigour and freshness that women had when they were young girls, inspiring them to dream of a place beyond their wildest imaginations. Through Fantasia, Jerome Epinette, Senior Perfumer at Robertet, brings us on a romantic, light and tantalising olfactory journey into a fantastical realm. The scent starts with bright and sparkling notes, using pink pomelo potion and spicy pink pepper on top. The bright notes then melt into more floral notes with a touch of raspberry praline in the heart of the scent, to blend the youthful and bubbly top notes with more feminine ones. The scent ends off with a more mysterious and enchanting touch from the golden cypress and Himalayan cedar wood for woodsy freshness. Through this olfactory experience, you are sure to be transported to the fantasy world of your dreams – hints of youthful playfulness of our childhood are represented by the bright and bubbly top notes, contrasted by more earthy and floral notes to convey the maturity, sensuality and femininity of a grown woman. 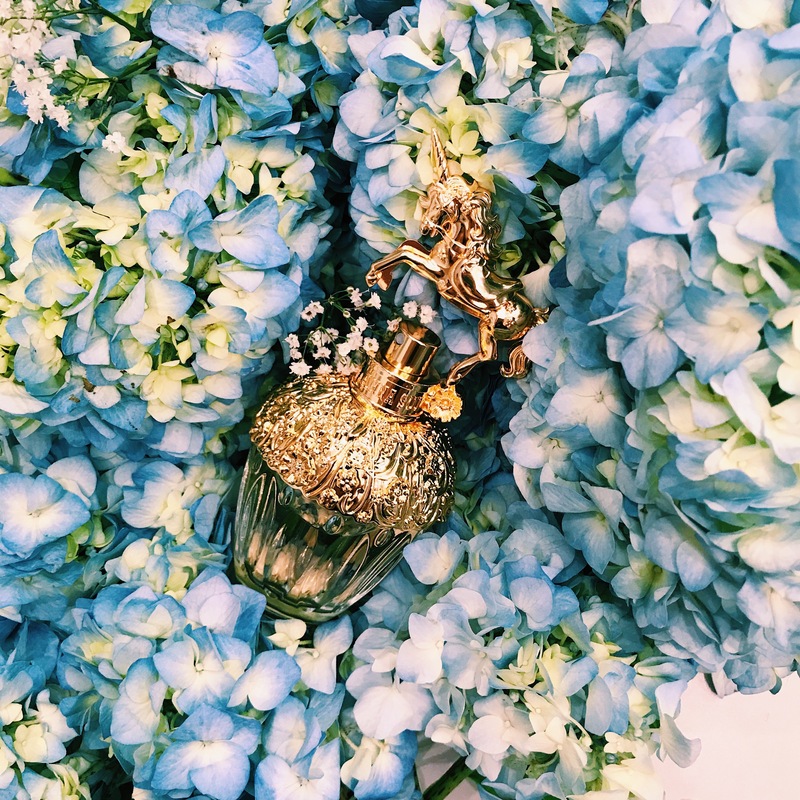 The magical experience is housed in an ornate faceted glass bottle, adorned in leaves and flowers that represent a magical forest and gilded in a luxurious gold for an ethereal touch. 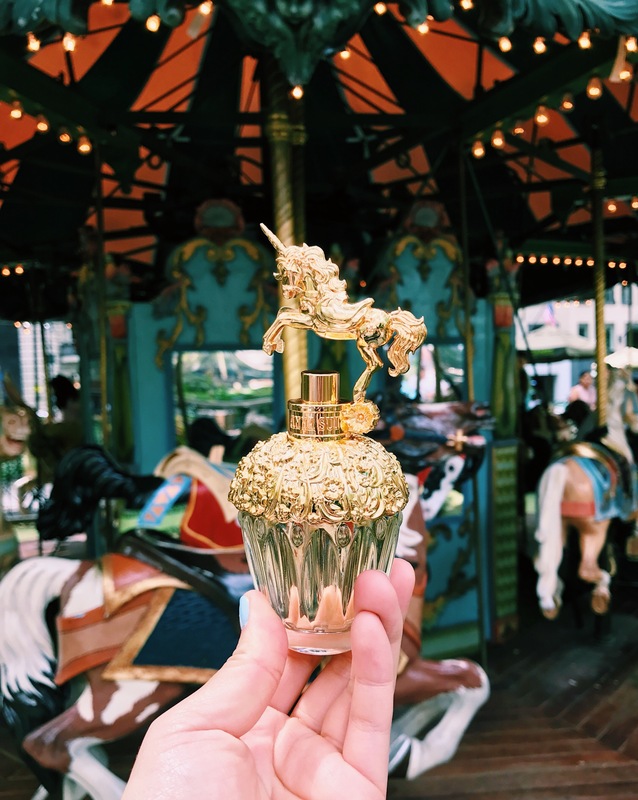 The bottle is topped with an elegant gold rearing unicorn – the universal sign for beauty and a symbol for purity and grace. It is the perfect guardian of our magical fantasy realm and the embodiment of the beauty and mystery of Anna’s world. Enjoy exclusive Anna Sui gifts with any purchase of Fantasia. Whether you enjoy a lighter and brighter scents with a hint of woodiness or want to experience a fantastical magical realm, you should definitely give this scent a try. Of course, choosing a scent is always about personal preferences and our unique chemical make-up so we highly suggest to ask for samples to ensure that your chosen scent will last the whole day!